Last Saturday I went to a little church fete at Lobethal. It was fantastic, I had the best time, although it was small most items ranged from 10c to $1, and just about everything was from the 1960's to 1980's. The nice ladies gave me a box and I just wandered around happily loading it up. 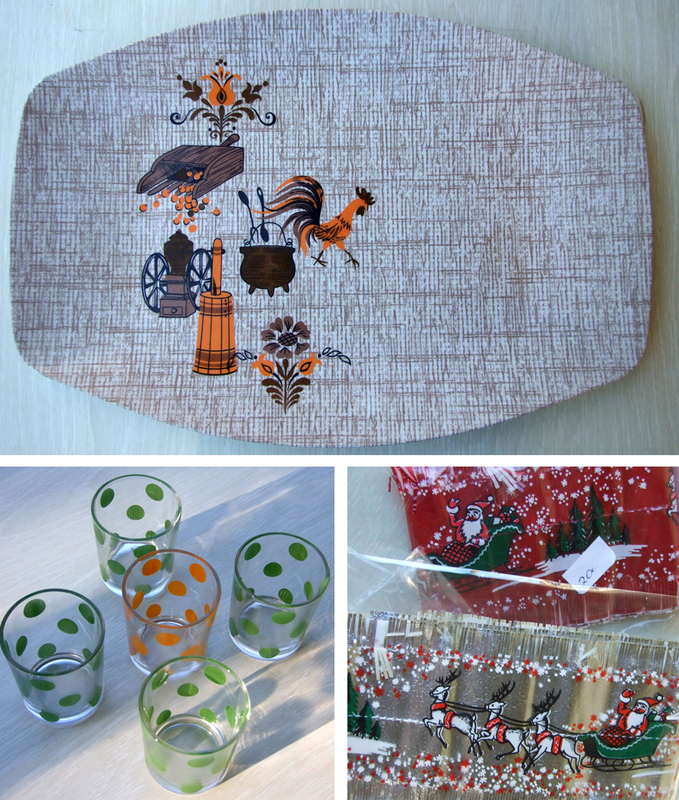 Above are a few things I picked up, the plate was my most expensive item at $1 and the vintage Christmas cake decoration frills were only 20c each. I picked up a Holly Hobby stoneware mug from the early 1980s for 10c and a cool thermos and vintage tins amongst other things. My Little Zombie Dolly and Friends finished!